To participate in the Beat the Winter chill event, you need to first create a FREE account (if you don't already have one). Hit the Sign up Today button to get started. Answer Garage™ is proud to present our Rewards Program! 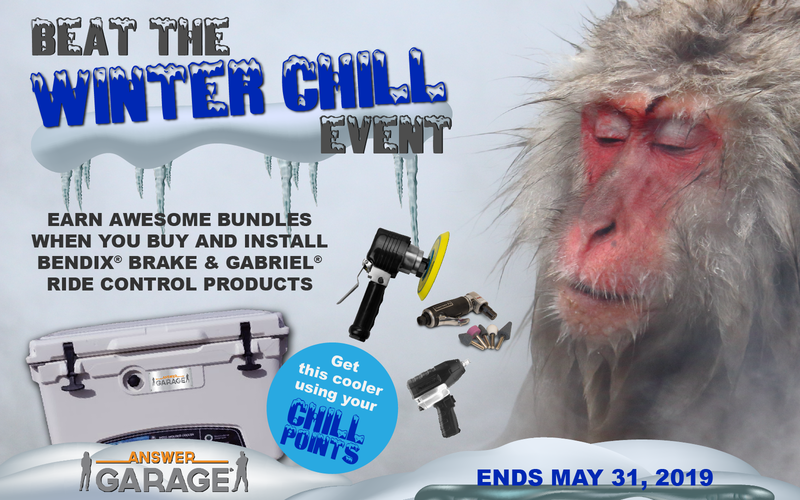 Buy Bendix® and Gabriel® products, get awesome stuff! With easy online uploads, you can quickly get great rewards including a selection of industrial power tools for your garage, counter stools, and other sweet gear! We also offer an online training program for technicians and counter salespeople to learn and demonstrate new skills to lead the automotive brake and ride control industry.